Project Background: Pakistan is a large agricultural country, 70% of the population engaged in agriculture-related fields. 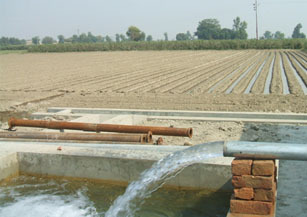 Nowadays pakistani use diesel three-phase generator to irrigate. In this way, maintenance cost of system is high and it is noisy and pollutes the environment seriously. Meanwhile it also has potential security risk because of the store of diesel. Solution: Adopting Solartech PS7500 solar pumping irrigation system to replace traditional diesel generator. Our system has no maintenance and fully automatice run and leads to automation and mechanization. Economic Benefits: The solar pump system can generate electricity 14,600 kWh annually, in its 25-year long application, the system can save standard coal up to 137.2 tons, reduce emission of carbon dioxide, sulfur dioxide, soot and ash by 60.4 tons, 2.75 tons, 2.06 tons and 35.7 tons respectively. Developing green recycle economy, providing automatic irrigation. using solar power can replace the traditional power, diesel power generation and other traditional irrigation model.Using solar pumping system can support and develop agricultural low-carbon economy and promote agricultural and industrial upgrading. 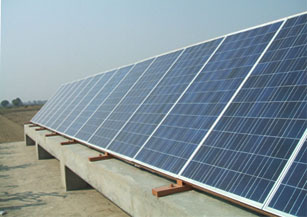 using green and pollution-free solar pumping technologies can save energy and reducing greenhouse gas emission.Then the Government will save the cost of power grid construction, the farmers do not pay the electricity bills, do not burn diesel, and do not need to maintain the solar system and it helps to enhance agricultural production efficiency and reduce the burden on farmers, and improve the local farmers life. Social Benefits: Turning to the current energy crisis in Pakistan, Musharraf, the former president of Pakistan, said: “Pakistan is facing energy crisis. We earnestly hope to look for the suitable way and partners to resolve the recent energy crisis.” He also said: “Pakistan is a populous, large agricultural country. Developing modern agriculture, improving the efficiency of agricultural production are prerequisite and the strong guarantee of economic development.” This project has been vigorously promoted in Pakistan.